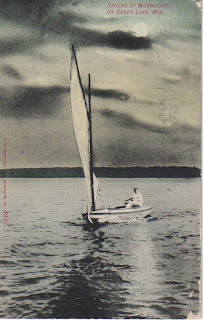 Without anything along the lines of identifiable landmarks, this postcard may be a case of where the printer took a stock image and added the place location. But who cares, it's still a cool image - and how I'd love to sail that fine craft. Even though she has a unique name, a little internet sleuthing came up with a big fat nothing on Ms. Ammel. 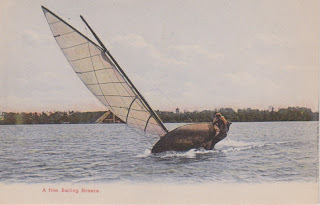 And since this post was so brief, here's another vintage sailboat postcard. 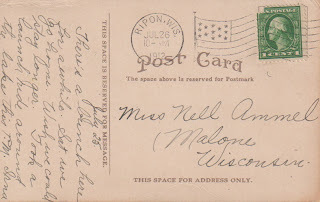 No location given and sadly unused, so there's no story on the flip side. But the image is certainly cool. Enjoy!